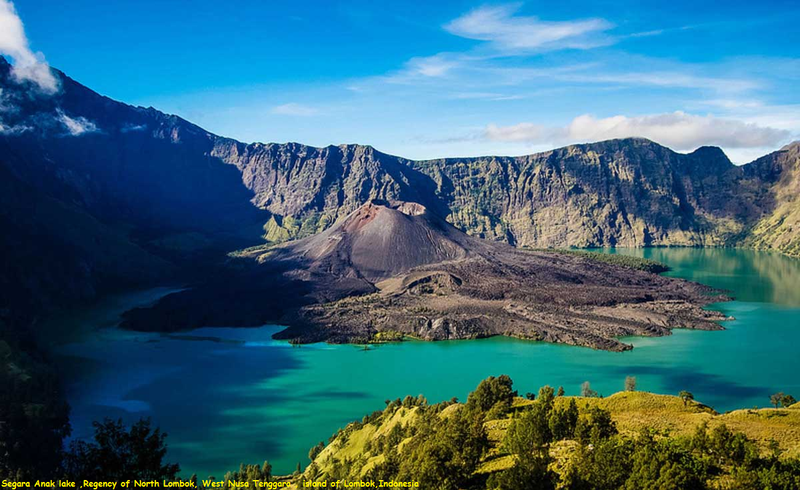 Mount Rinjani or Gunung Rinjani is an active volcano in Indonesia on the island of Lombok. Administratively the mountain is in the Regency of North Lombok, West Nusa Tenggara . 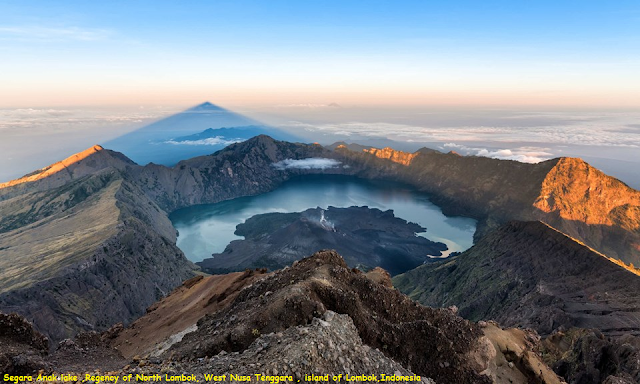 It rises to 3,726 metres (12,224 ft), making it the second highest volcano in Indonesia. On the top of the volcano is a 6-by-8.5-kilometre (3.7 by 5.3 mi) caldera, which is filled partially by the crater lake known as Segara Anak or Anak Laut (Child of the Sea), due to the color of its water, as blue as the sea (laut).This lake is approximately 2,000 metres (6,600 ft) above sea level and estimated to be about 200 metres (660 ft) deep; the caldera also contains hot springs. Sasak tribe and Hindu people assume the lake and the mount are sacred and some religious activities are occasionally done in the two areas. On 27 September 2016 14:45 WITA Rinjani erupted.